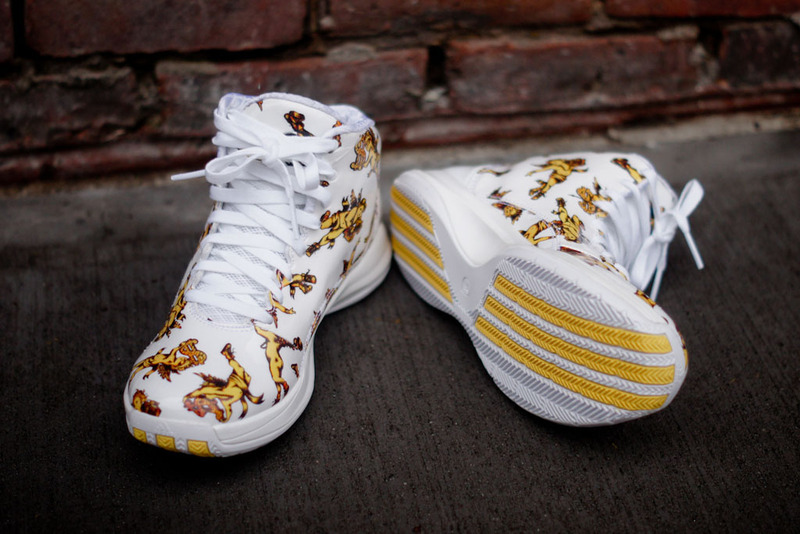 The new adidas Rose 3.5 by Jeremy Scott, first previewed earlier this week, is now available at select accounts. 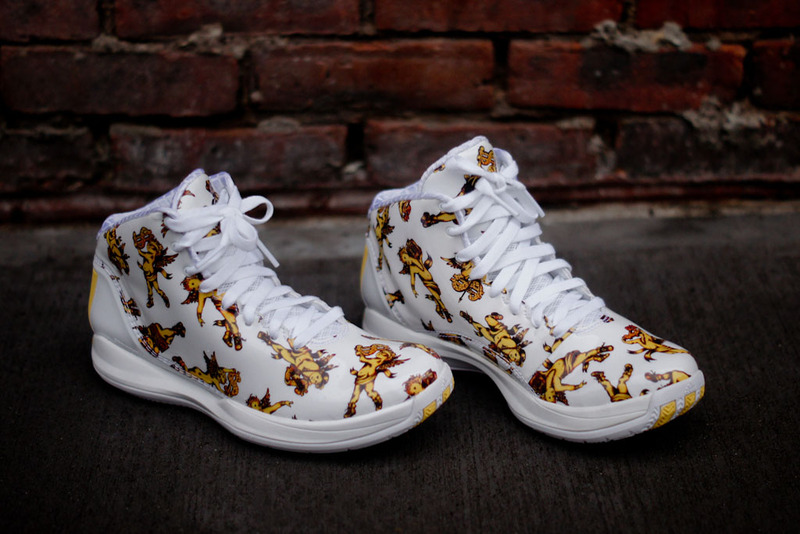 The new adidas Rose 3.5 by Jeremy Scott, first previewed earlier this week, is now available at select accounts. 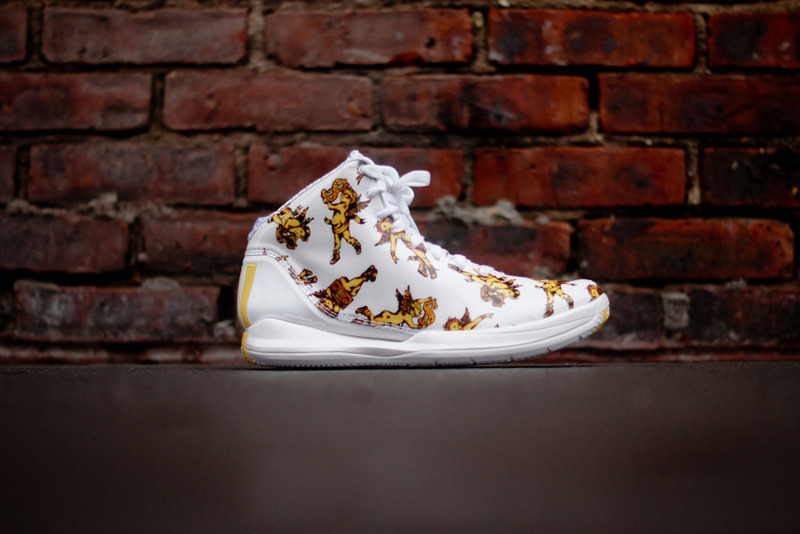 This creative take on Derrick Rose's latest signature shoe features a white synthetic patent leather upper covered in golden cherub graphics. 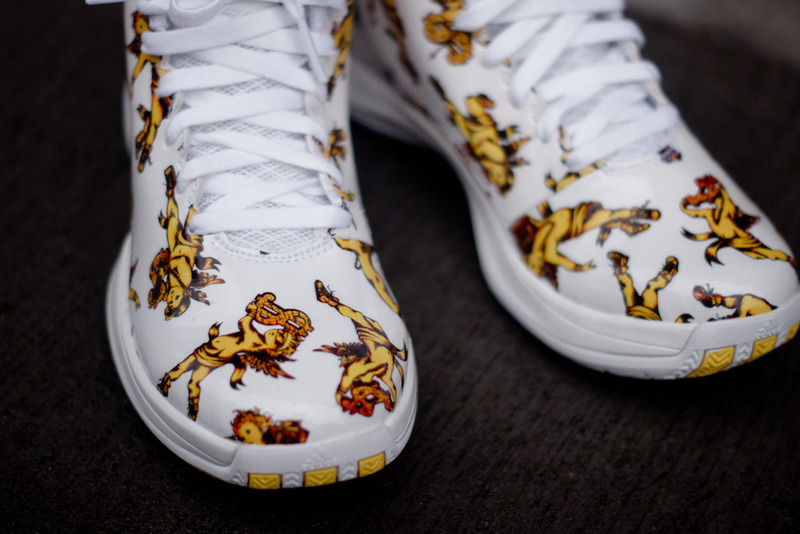 The D-Rose logo appears on the tongue, while Jeremy's logo appears inside the tongue and on the insole. 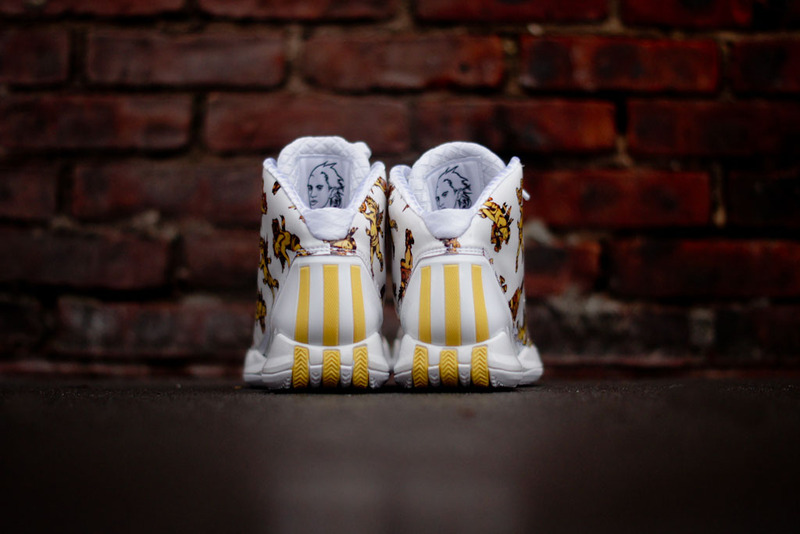 The adidas Rose 3.5 by Jeremy Scott is available now at select adidas accounts, including KithNYC.